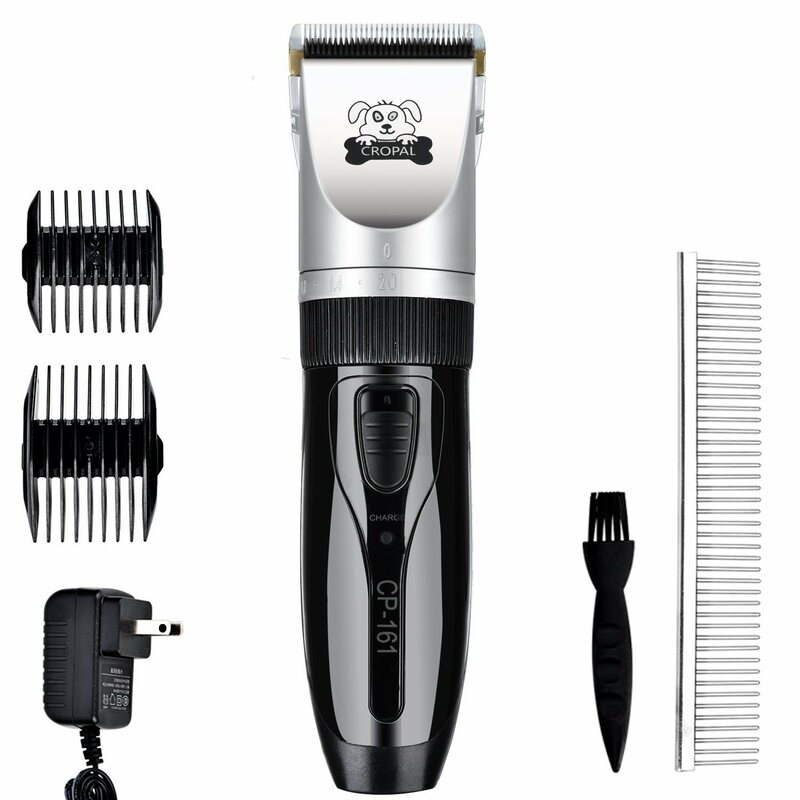 Purchasing an electric dog clipper to groom your pup at home can save you a lot of money in the long run. In this article, we’re going to take a look at the best cordless dog clippers for your dog whether he has a thick coat or matted hair. Most dog owners take their furry friends to a groomer every four to six weeks, depending on how long or how thick their fur is. Standard grooming costs range from $30 to $90, depending on where you go! Imagine how much money dog owners would save if they learned to groom their dogs themselves! DIY dog grooming is a great way for owners to bond with their dogs, and it has a lot of other benefits too! Why You Should Seriously Consider DIY Grooming? No doubt, it's cheaper to do at home dog grooming than it is to go to a groomer. Not many dog owners think about grooming their dogs themselves. For owners with multiple dogs or dogs that need to be groomed often, the DIY option can save quite a bit of money. Taking the time to care for a dog’s grooming needs can be a new way for pets and owners to bond, plus it isn’t hard to learn how. Grooming their dog by themselves means that the owners get to stay in control. They can trim their dog’s fur the exact length that they want it, without having to worry that a groomer might not do it the way they want it. 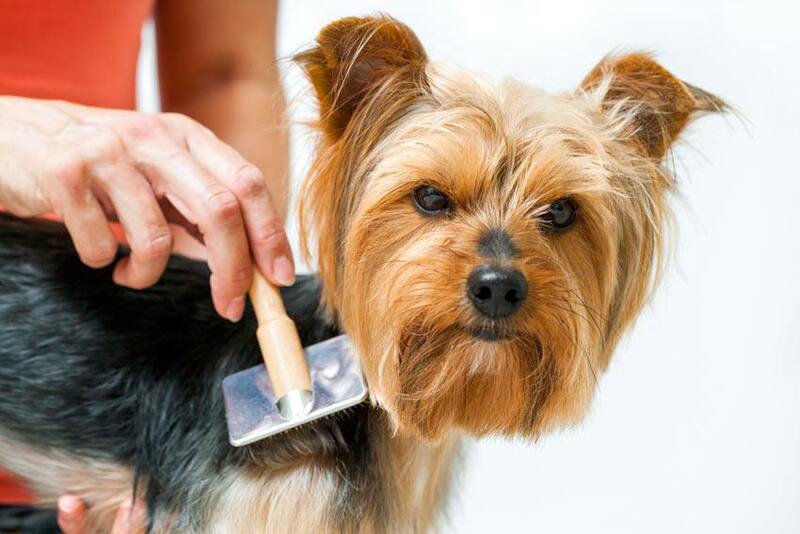 DIY dog grooming is also a great option for owners whose dogs are afraid of noisy clippers or less trusting around strangers. One thing that owners should never do is use human hair clippers on their dog. Human hair clippers will pull a dog’s hair, which can be painful to your pet. Grooming a dog also takes longer than clipping a person’s hair, so dog clippers are specially designed not to overheat as quickly. There is a wide selection of electric dog clippers available for owners who want to go the DIY route with their dog’s grooming. Some are cheap, others more expensive. Some are low quality, others top of the line. Here is a checklist of the things to consider when comparing features of different dog clippers. A Yorkshire Terrier puppy being groomed with a brush. Cordless vs Corded: Cordless clippers generally come with a charger now, so you can forget the hassle of replacing batteries. Cordless clippers are more convenient because you don’t have to worry about the cord getting tangled around your dog. Single vs. Variable speed: Some dog clippers offer different speeds, with higher speeds for the body and slower speeds for delicate areas like the ears and face. Deciding between a single or variable speed dog clipper comes down to the length and thickness of your dog’s fur. 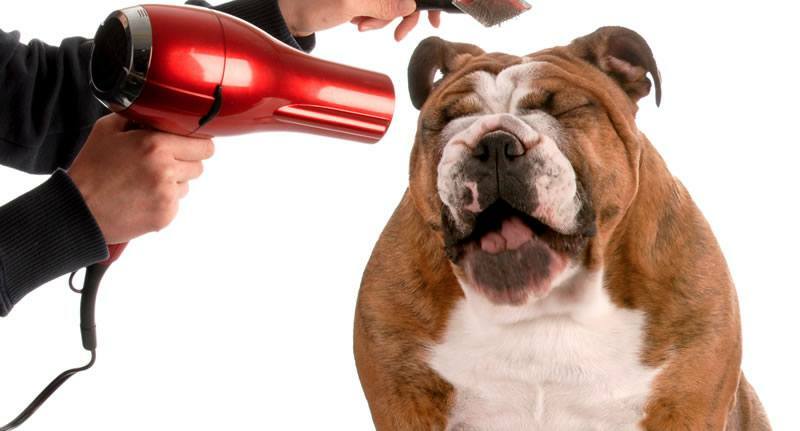 Quiet motor: Most dogs are afraid of the loud sounds that some dog clippers make. This can make the grooming process long and painful for both of you. Don’t worry, though! Top of the range professional home dog clippers are purposely made to be much quieter so nervous dogs won’t be as bothered by them. Lightweight: It can take a while to finish grooming a large, fluffy dog. That’s why owners don’t want to work with heavy, awkward clippers. Look for something lightweight that can be used comfortably for longer grooming sessions. Blade material: Dog clippers are usually made with stainless steel or ceramic. Carbon, chrome, titanium, and silver can also be mixed in or used as a finish. Carbon-infused steel is a good option for dog clippers because it is very hard and stays sharp longer. Silver is used in dog clippers for its anti-microbial properties, keeping clippers free from bacteria, mildew, and mould. Ceramic also stays sharp and is more heat resistant than steel. There are a couple of things owners need to do before their dog is ready to be groomed. The first step is washing and brushing your pup’s fur to get rid of any tangles or clumps. When that is done, owners need to make sure they have their clipper, a comb, and a brush handy. Check that the blades are not dull before getting started, or else they will pull on the dog’s fur. Remember to clip a dog’s hair in the direction that it grows, not against it, and work slowly for an even cut. Start from the neck working towards the back leg on one side and then switch. 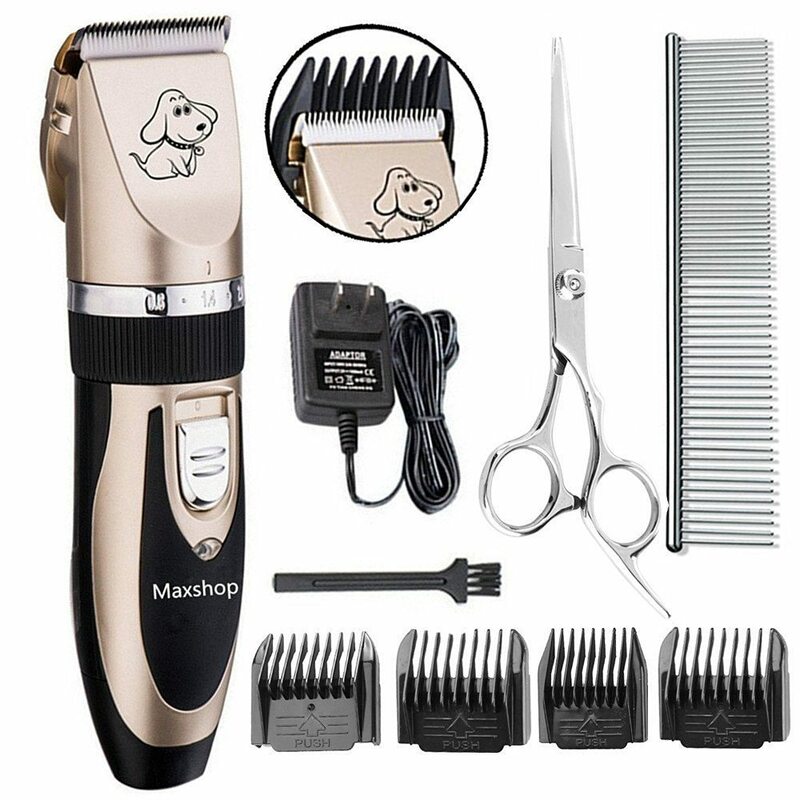 Maxshop’s bestselling dog clippers are an affordable and popular option with a lot of features that dog owners love. This model is super quiet to help keep nervous dogs calm and at ease during their grooming sessions. It is lightweight and cordless with a battery time of 70 minutes when fully charged. Maxshop’s blades are made using high quality stainless steel for durability and optimal sharpness. Each kit comes with a pet clipper, AC power adapter, one cleaning brush, four comb attachments, a pair of stainless steel scissors, and a stainless-steel comb. Owners with dogs who are afraid of most clippers find Maxshop’s clippers very quiet in comparison. These clippers make a difficult task much more manageable, leaving you more time to do other things. This cat (yes it's good for kitties too) and dog grooming kit is perfect for first-time groomers and the price pays for itself after a few uses, saving owners a lot of money in the long run. Walh is another great brand that offers high-quality, affordable pet clippers. The U-Clip uses a special patented motor that is quiet yet powerful, and the handle has a comfortable grip for easy use. This kit is put together with DIY grooming beginners in mind and even comes with an instructional DVD and grooming apron. Wahl’s professional clippers easily trims fine to medium coats without any trouble. The blades used for these clippers are made using high-grade steel and are always tested for performance before being shipped to the buyer. The professional blade adjusts to three different sizes (#10, #15, and #30) with an easy flip of a lever. Owners find these dog clippers durable and easy to use. This kit comes with everything owners need to get started with DIY grooming at a very reasonable price. Cropal’s pet clipper is a #1 new release in dog grooming clippers and is available at a great price for owners. This model is cordless for convenient use, but can also be used while plugged in for charging. This grooming kit uses a ceramic blade that stays cool during use and keeps its sharpness longer. These dog clippers are safe and easy to use for owners who are new to grooming. They are designed to operate as quietly as possible so dogs don’t get nervous or scared. Each kit comes with a pet clipper, AC adapter, cleaning brush, stainless steel comb, two limiting combs, and a user manual. Owners like these highly rated clippers because they are quiet and work well on thick fur, although they do recommend trimming long fur with scissors before using the clippers so the dog’s fur doesn’t get caught. Cropal’s clippers give dogs a professionally groomed look at a fraction of the price, which dog owners love. 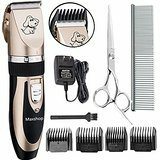 Purchasing an electric dog clipper to groom your dog from the comfort of your own home can save you a lot of money in the long run. It is also a more comfortable alternative for skittish dogs who don’t like the loud noises professional clippers tend to make. Many clippers available for household use today are affordable, beginner friendly, and come with everything that you need to get started.